Kalifornia Love: Sweet Blog Award, Washable Pads (Yes, the ones that we use monthy), & Toy Story 3?? 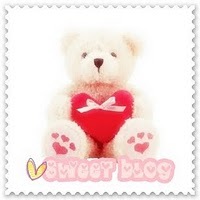 Sweet Blog Award, Washable Pads (Yes, the ones that we use monthy), & Toy Story 3?? I've decided to scramble all this randomness into one giant post.. so first up is.. I'd like to pass on this sweet award to these lovely blogs..
And now onto the next topic..
First off, the idea of washable pads isn't new at all. Before disposable pads were ever invented, people way back had to use something right? Bleh.. I'm grateful I'm alive during a time where tampons are available. Now, let me say I've never used washable pads. I just wanted to write about my thoughts on them and hear anyone else's thoughts whether you've tried them or not. I have to say when I first read her post, I was so grossed out about the idea. All us ladies know how uncomfortable and grimy that time of the month can be and the thought of actually washing my own used pads really made me cringe. First off, I'm just uncomfortable with washing away blood in general (for instance, if I got a cut and had to wash the blood off my shirt) but this takes it to a whole different level. This is washing your pad for goodness sakes. Second of all, period blood is different from "normal blood" you get from a cut. Period blood contains mucus and dead cells. Also, it seemed like such a hassle to have to wash my pads when I'm already cranky, moody, bloated, and totally cramping. I was also thinking, "How on earth can anyone even use these on heavier days like Day 1, 2, and 3?" I imagined that they'd soak through so easily. But after much discussion and comments back and forth on Muse's post, I learned that these have been actually more efficient and "held" more for some people. They're also supposed to be a lot more comfortable (think about it, cloth versus plastic-y pads.) WOW. I was totally surprised. Another thing I was a little uncomfortable with is the fact that because these are reusable, if you're out and about all day, you need to wrap up the used pad and put it in your purse. Ok, that to me sounded really gross (and actually still does.) Seriously, a used, bloody pad mixed in with my keys, wallet, gum, tissues, and whatever other crap I carry in my bag sounds DISTURBING. Can you imagine if I was in class and meant to take out my notebook but took out the used pad instead?? Or if I was at the checkout line and I meant to take out my wallet but took out the pad instead?! That's something I'd totally do. Prior to hearing more about the pads, I just thought geez, I understand being "green" and eco-friendly but there's a fine line between helping the planet and completely going INSANE. Shouldn't recycling our bottles, using less gas (public transportation, carpooling, walking, etc. ), and using reusable totes be enough??! So after some discussion and whatnot, I was sort of having a change of heart. Honestly, it never occured to me where all of those pads and tampons we use actually go. My family and I are heavy recyclers and I thought that was enough. Disposable, used tampons end up in landfills. Now, can you imagine alllllll of those tampons and pads that billions of women use every single month/3 weeks. Damn! That's a load of bloody tampons and pads -pretty gross. However, with washable pads, those last months/years (depending on how well you take care of them.) I also started thinking about cost. Up front, the washable cloth tampons sound like a lot of money but in the longrun, they end up saving you the money that you have to spend every month. I read this great review here about Paris B's "cloth pad" experience and after reading her thoughts, it really made me think about all the positives of using reusable pads. Honestly though, I don't know if I'm ready for cloth pads. I still don't like the idea of washing my used pads and carrying them around in my bag all day. Also, I'm a tampon girl. There is another thing called a menstrual cup too. I'm not exactly sure how it works but it's washable and reusable. From my understanding, you basically "stick it in" like you would a tampon and the blood falls into the cup. When it's full, you pour the blood out. (Please correct me if I'm wrong about this whole process.) That makes me a little queezy but I've heard it's very efficient. Plus, it lasts longer than tampons and won't make you dry down under. 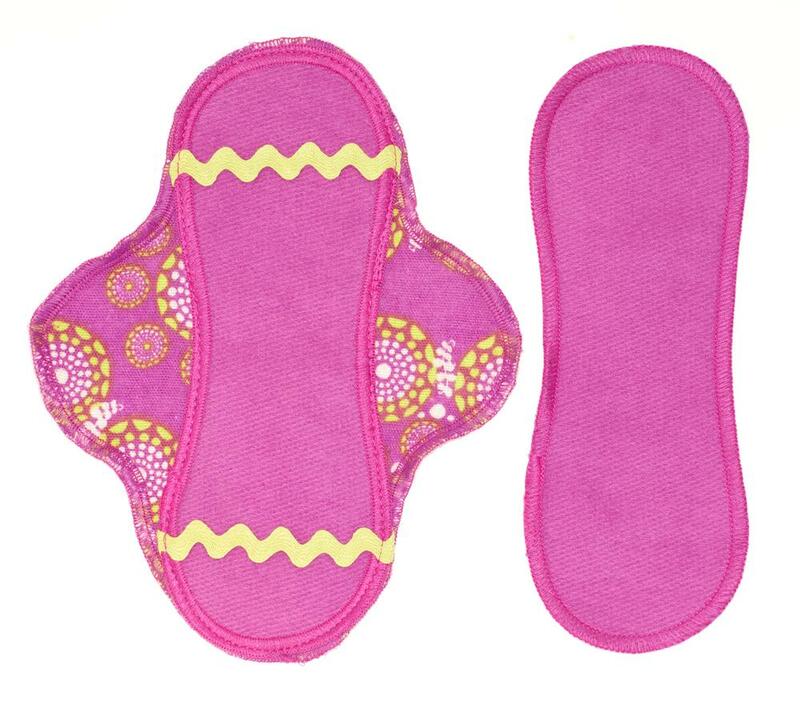 Washable pads are available on Etsy, Lunapads, and from many other places. Just do a Google search for "washable pads." For the menstrual cups, there's brands like DivaCup, LadyCup, and more. So...... does anyone else have any thoughts about washable pads or menstrual cups? I don't know why but I've seriously been thinking about it all week. I really don't think I'm ready to convert yet but I'd like to hear your thoughts! On a lighter note and something everyone can enjoy.. The 3rd installment to one of my favorite movies of all time is coming out next month! 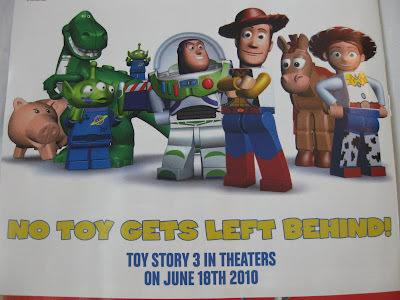 I didn't realize it was so soon until I brought in my brother's copy of LEGO Magazine. It's out June 18th and I can't wait. P.S. 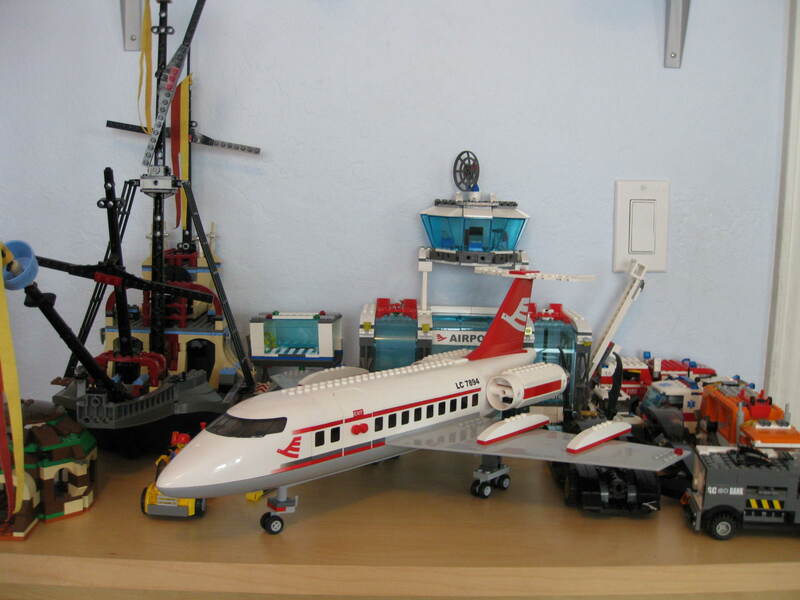 If you have any youngsters in your home or know anyone who loves legos, LEGO Magazine is free. You get it every month or 2 (I forget.) My 7 year old bro loves legos. Congrats on the award and thanks so much for thinking of me! As for the washable pad...yea...no..I don't think I'm ready for the switch. awww thanks for the award!! I just saw it hehe it brightened up my day. And eww washable pads uhmm that's kind of gross, not the usable part but the whole putting that in with the rest of your lundry letting it sit there for a week (since i only do lundry once per week) yeeeah no thanks! Aaww, thank you for the kind words! And I don't know how I could ever use a reusable pad, I'm sorry mother earth! And omgeeee, I am so excited for Toy Story 3! At first, I was leary of the washable pads, but I took the leap about 5 years ago and purchased a set from GladRags. There is an available waterproof zipper pouch that looks like a pencil or makeup bag. I toss a ziplock in for used ones. I have recently switched to using the mooncup and divacup (mostly) after a time using the sea sponges. So far, I love the cups the most.. no leaks! I have to say, it's rather like inserting a diaphragm, but easier. (I remember chasing that thing around the bathroom the first time!) The pads are cool too cuz you can use them for inbetween period protection. It's really nice to hear from someone PRO Washable Pad and PRO Menstrual Cup. =) I don't know if I personally would look into the pads since I don't like pads anyways but the Divacup seems interesting as tampons can really get expensive!